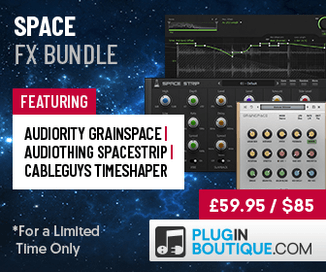 Loopmasters has released Dom Kane presents Electro Tech, a sample library for Electro and Tech House music production. Electro Tech is a current and contemporary collection of Heavy Synths, Tech Wobbles, Fat Loops, Twisted Metallic Filtered Madness and Glitched Processed Loops which combine to provide the producer a superb palette of Electro and Tech House samples. 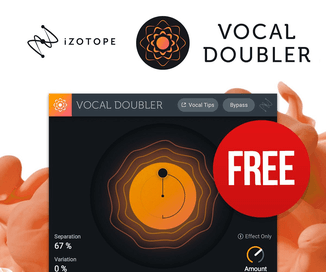 Electro Tech was produced by Dom Kane, who continues to impress with his DJ career and producer skills, his sample packs are always of the highest quality and this one is no different. 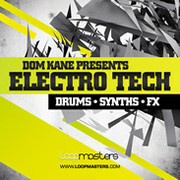 Dom Kane presents Electro Tech is available to purchase for £29.95 GBP.